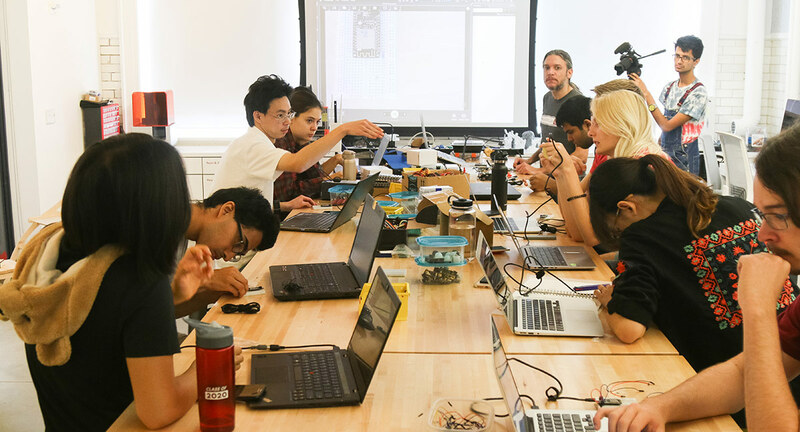 Students at the Internet of Things (IoT) Mini-Hackaton, Fall 2018. Photo: Claire Chenyu Wang '20. The program strives to encouraging creative thinking, collaborative efforts, and social engagement through processes of ideation, design and implementation. Partnering with Haverford’s academic and extracurricular departments as well as the college’s Centers, HIP looks to explore endeavors in the current cultural and technological moment through speakers, workshops, events, and summer immersion.